The ABM’s Educational Services, in partnership with the Psycho-pedagogical Centre of the Holy Family, promotes every week reading activities targeted to children and youngsters with special educational needs. This project involves the storytelling, art activities, games, exploration of the Children’s and Youth room and institutional book borrowing. Target audience: children and youngsters with special educational needs. 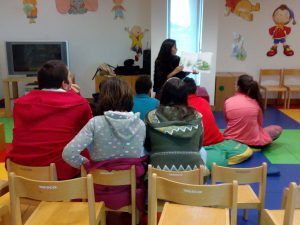 The Public Library in partnership with the Prison/Jail of Funchal organises monthly an activity to promote reading among the prisoners, both male and female. This project gathers: the organisation of the library space, book offers and borrows, reading activities, such as storytelling, sport events, seminars and awareness campaigns on various themes, granting to all of those who don’t have access to books the oportunity of reading and therefore contributing for the development of their personal and social skills, and simultaneously helping the library to fulfil its mission. 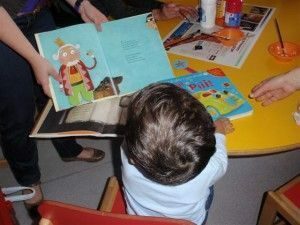 Every two weeks, the ABM’s Educational Services, in partnership with the Pediatric Ward of the Hospital Dr. Nélio Mendonça, promotes reading activities and games for children and youngsters in situations of extended hospitalisation.